Many years ago, according to the Bible, Noah built an ark to save his family and two of each animal from a flood sent by God to wipe out mankind. Whether this is true or not, we have never been sure, but some scientists believe they have made an interesting discovery to find the craft they traveled in. A huge storm was sent down from the skies, raining for 40 days and 40 nights which caused a colossal flood. It was God who sent it to kill all of the humans that inhabited the planet. He had grown tired of their greedy attitudes and lack of faith they had in him. To fix this problem, he saw fit to wipe everyone off the face of the Earth, except for Noah and one pair of each species of animal. A strange request, but Noah set about building his craft to make sure he and his family would have a safe haven from the great flood headed their way. It took him approximately 100 years to build, which is impressive for someone who was said to be close to 500 years old when he set out to start crafting the ark. But what happened to the ark once it was built? Have we finally found its final resting place? This list will bring you some of the latest developments in the efforts to try and find Noah’s ark. We have the suspected mountain it was grounded on when the great flood finally started to recede. The story tells us they stayed on the boat for a while longer, in fear that God’s wrath was not over, but sent a dove to fly out and investigate. The dove came back with an olive branch and so Noah, and his ‘arkmates’ disembarked. We wonder if the animals left the ark two by two or whether they just descended into chaos. Many versions of the story have come to light over the years, and it appears that the biblical tale is itself a retelling of a story from another era. Whichever era the ark came from there are people out there who believe they can find it, some even claim they have already spotted it. 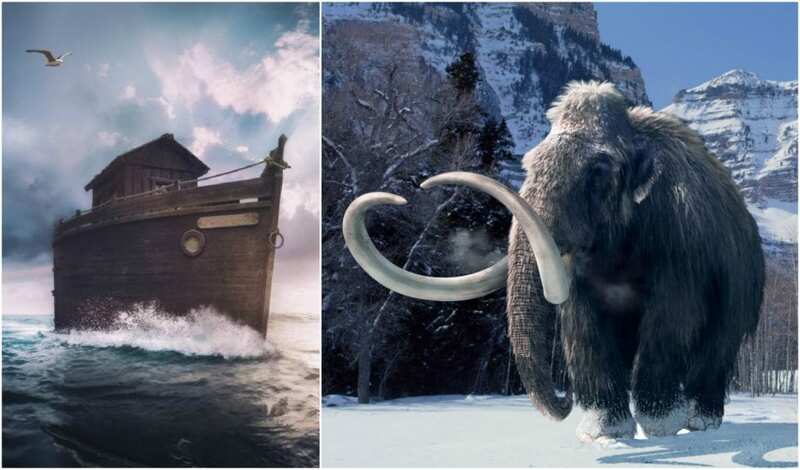 Some of history’s most influential people have even had attempts at finding the ark, while others have done their best to describe in painstaking detail what it might look like. 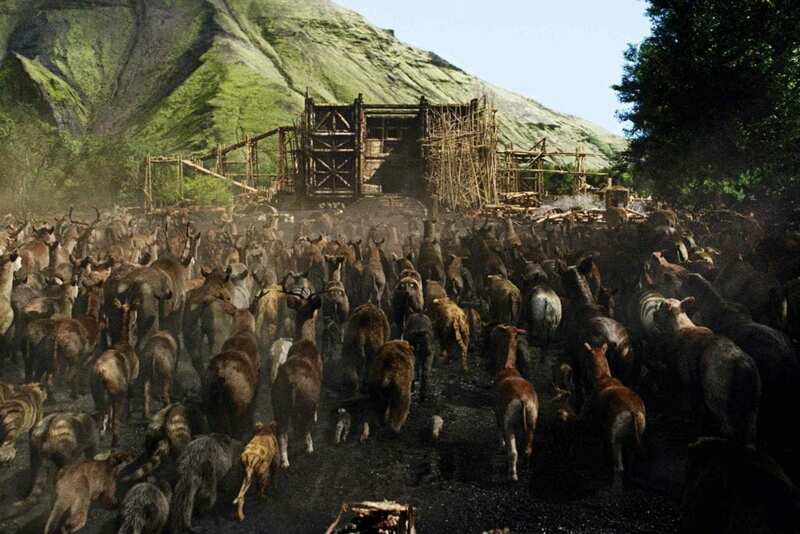 The ark has found itself on a country’s crest, and Noah’s story is the focus of several movies and TV adaptations. Is this where they laid anchor for the last time? The ark floated on the water for 150 days before it came to a stop at the peak of a mountain, said to be the mountain of Ararat. According to the Bible, the ark was a huge vessel that was capable of holding many animals so it would make sense that it would have made some sort of impact on the land when it came to rest. 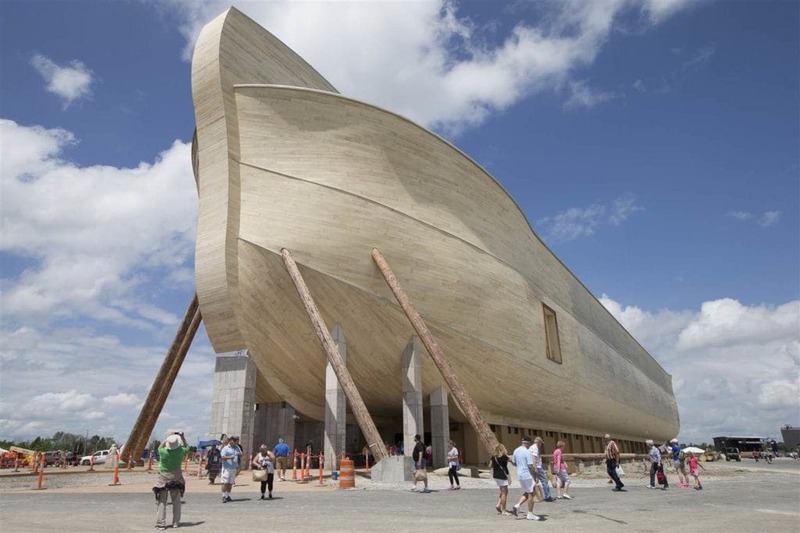 Now, thousands of years after the biblical flood, scientists believe some new evidence has been uncovered in the search for the ark. Many people who are familiar with the Genesis story would tell you that the ark came to a standstill at the top of the mountain Ararat. A biblical location, sure, but does that mountain exist today though? 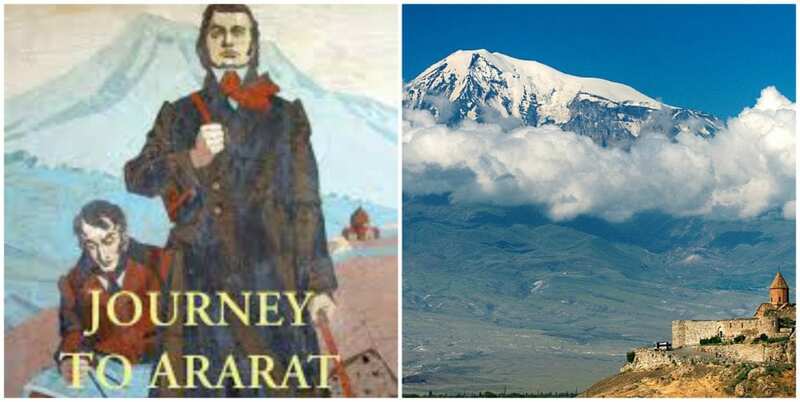 The mountain of Ararat can be found in Turkey, near to the Iranian and Armenian borders. 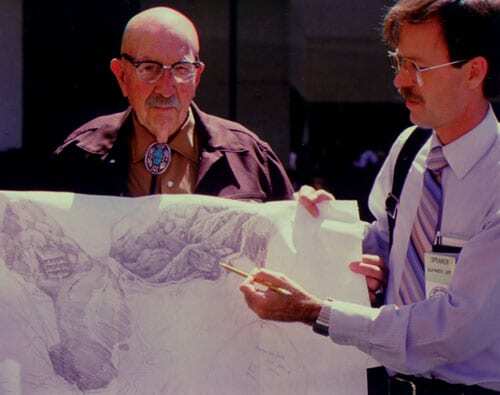 So many people, therefore, believe that there should be some evidence of the ark’s existence in that region, potentially at the peak of the mound. Many historians do agree on the general location of the ark, but Syrian tales offer a different conclusion to the theories put forward by Josephus. Early Syrians believed Mount Judi was the final resting place of Noah’s ark. Josephus said that the remains of the ark were shown at the ‘place of descent’ and Ararat was not know by that name. The Armenians were shown the ark’s remains, and so they believed Noah’s ark rested there for centuries. 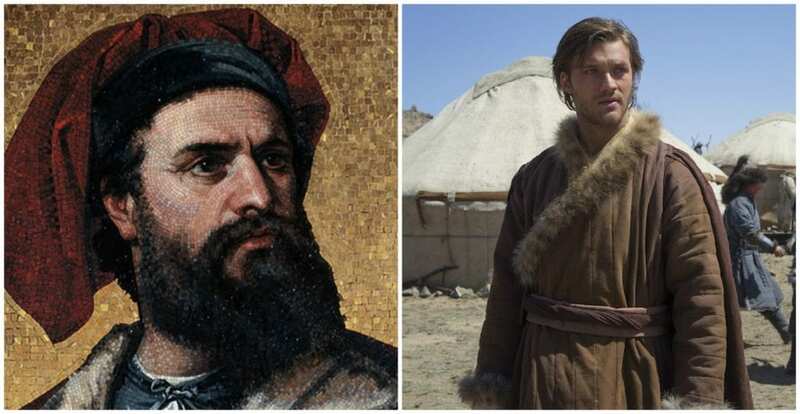 Marco Polo reportedly climbed Ararat in the Middle Ages, but another traveler, Dr. Friedrich Parrot scaled the mountain much more recently. In 1829, Parrot visited the location and remarked on how the locals felt about the area and their association with Noah’s ark. He noted that the Armenian people were all firmly of the belief that the remains of Noah’s ark were on Ararat’s peak. Further commenting that they believed with such conviction that they would not allow another human to approach the peak. Over the years there have been numerous attempts to excavate the land in the hope of finding some evidence of the ark’s existence. There is one evangelical group who believes they made a breakthrough in 2010. The group, Noah’s Ark Ministries International (NAMI), are from China and Turkey and spent weeks digging and searching. After some time they believe they found artifacts made of wood that confirms the location of the biblical ship. It would appear a breakthrough had been achieved. While NAMI made claims of discovery, it was worth remembering that there had been previous false claims. 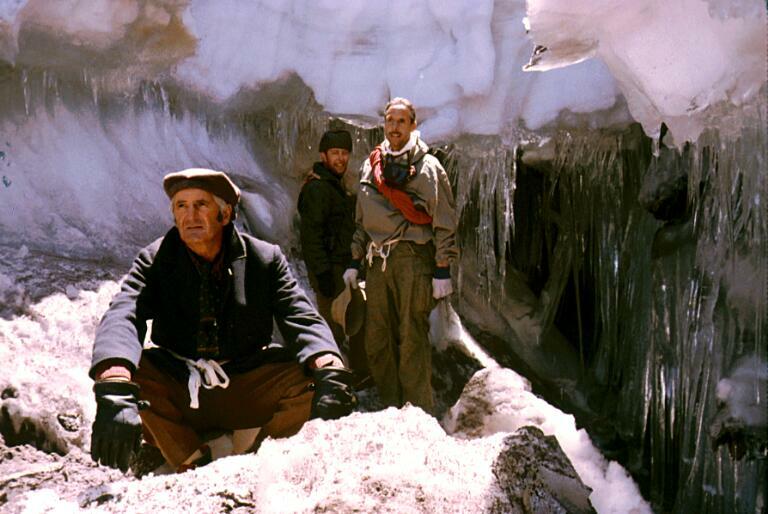 Explorer, Fernand Navarra, allegedly found a beam from the ark on Mount Ararat – but a Spanish research facility confirmed the wood was about 5,000 years old. It was later announced that he had carried the wood up the mountain after buying it at a nearby village. 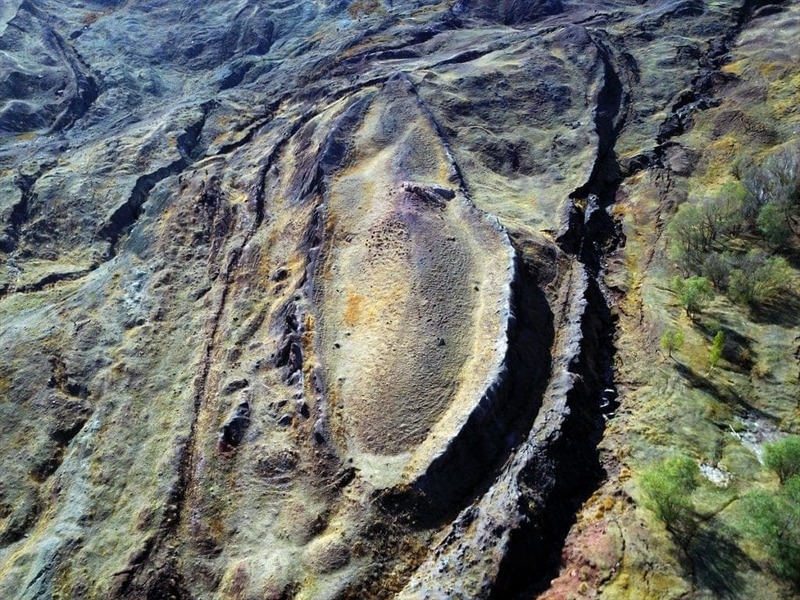 Helicopter pilot George Greene claimed he saw the ark when flying over the mountain, although this was dismissed as many figured he had just seen a chunk of basalt. Having the same name as the biblical mountain, Mount Ararat is considered to be the location of the ark thanks to its name. The mountain is the tallest in Turkey, with the top measuring 16,854 ft, and it is currently a dormant volcano. 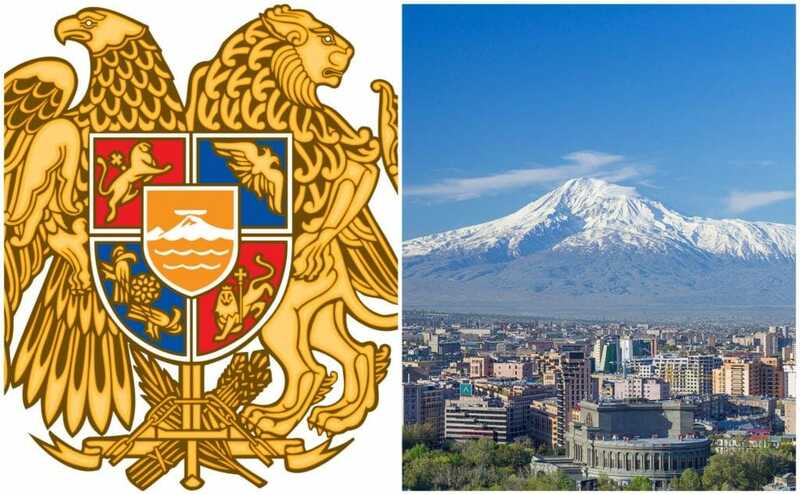 Due to the importance placed on the mountain, Armenia’s coat of arms depicts the mountain, despite it being in Turkey. The coat of arms has the ark sat atop of the mountain, such is the Armenian belief that the ark is located there. One man has spent his life claiming he and his uncle have seen the ark, even climbing onto its roof. Armenian, George Hagopian, made the claims, but there are questions about the authenticity of the tale as each time he told it the dates changed. Seemingly there was a drought which uncovered the ark, then he and his uncle scaled the mountain. It is a nice story, but it raises the question of how it was so easy for him and his uncle, but others have not found a trace. Genesis tells the story of Noah and his construction of an ark to save his family. 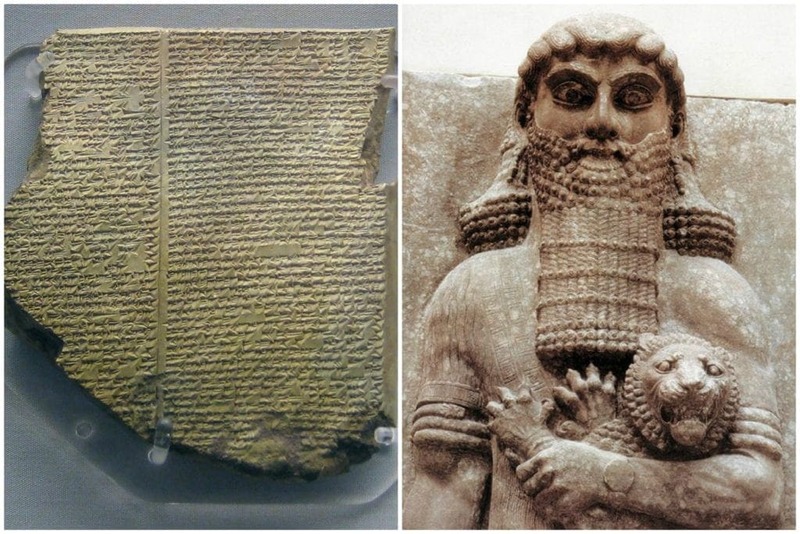 This is not believed to have been the origin of the story as there are several tales from the ancient Mesopotamian region that also involved floods, in fact, there are several tales of floods from that period. Since there are so many tales of great floods, perhaps the biblical tale is not the origin of the story, and because of this, it is not easy to find the location of the ark. Science setting the story straight? Many biblical stories involve certain miracles or events that cannot be explained by science, and the flood is not exempt from scientific criticism. Scientists believe one piece of evidence, or lack of evidence, disproves any great flood that may have ever occurred on the planet. They say the soil would tell the tale of the flood and the water levels in the soil would depict this. According to them, there is no such evidence to prove a flood ever took place of the biblical proportion Noah had to deal with. According to the tale, Noah and his family were the only survivors of the flood, apart from the animals. So in that sense, we would all be related to Noah as no other humans survived, barring those on that boat. Scientists argue that should this be the case, we would be able to track our DNA genealogy back to the family that was tasked with repopulating the planet. Since they cannot, they do not believe the story is true. 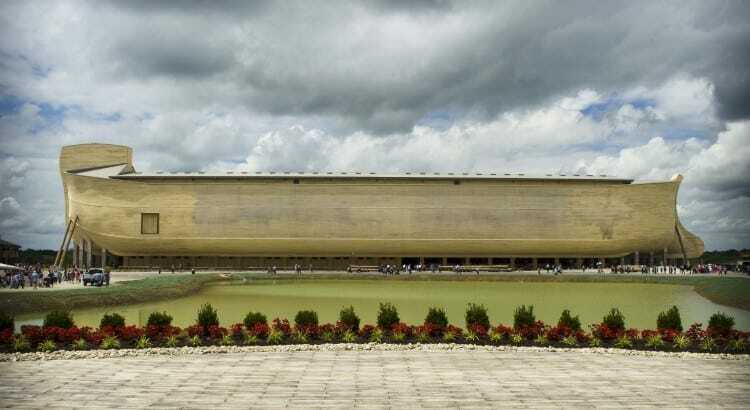 The ark needed to be huge to house all of the animals God requested on board, we’re talking Titanic proportions. It does beg the question that if the Titanic couldn’t survive an iceberg, could a wooden ship survive a flood sent to wipe out humanity? God gave the blueprints for the ship to Noah, so he then had to spend a very long time constructing the craft with little help. This was an incredible feat of engineering for the time it was built, almost unbelievable. Believe it or not, there is a life-size ark in Kentucky that you can visit. The replica follows the instructions God left to Noah and is a full-scale remake of the ship, it measures in at 510 ft long. Inside the ark is a Christian theme park, featuring exhibits that teach you about the story plus there’s even a zip line. Beside the ark is a zoo so you can get a sense of what it would have been like if they had all been inside the huge ship. Famous explorer, Marco Polo, took a swing by the mountain range notarized for the ark’s location. Famous for his travels across Asia, he stopped by Mount Ararat to see if he could spot the legendary vessel. He noted that the mountain was cube-shaped, but the snow on the top never melted so he couldn’t get a chance to have a good look. Polo said the mountain took two days to navigate, so possibly abandoned the search after days of failure. There is a tale of another man who suffered through a biblical flood. The tale is from ancient Mesopotamia and is known as the Epic of Gilgamesh, it follows the story of a man searching for eternal life. Gilgamesh visits a man called Utnapishtim, who was said to have survived the great flood. The great flood tales are told to be so similar that there is little doubt both tales were derived from ancient Mesopotamia. 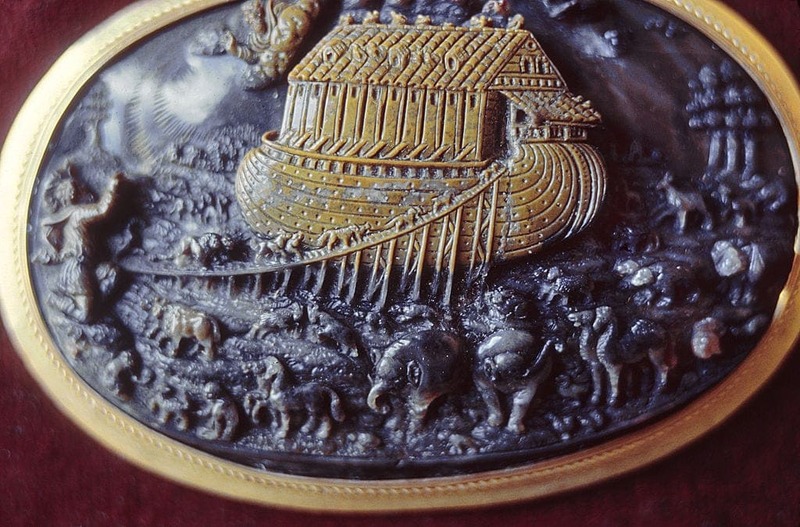 The biblical tale of Noah’s ark is one often told, regardless of the believability. The story is from Genesis and tells the tale of a righteous man, Noah, who has not been swayed by people’s wicked ways. People had been corrupted, and God was not a fan of how they had turned out. He set to rid the world of them but spared Noah because of his holy ways. Noah was tasked to build the ark and save pairs of animals, then God set about drowning everyone else. We know that Noah was instructed to board his family and pairs of every animal. It was probably not difficult to get his family on the ark, but how did he set about getting the animals on? There is a common misconception that Noah rounded up the animals, but in fact, God brought the pairs of animals to the ark himself. So Noah did not have to practice speaking tiger or elephant to ensure they would come on board. Back to the digging done by Noah’s Ark Ministries International (NAMI). 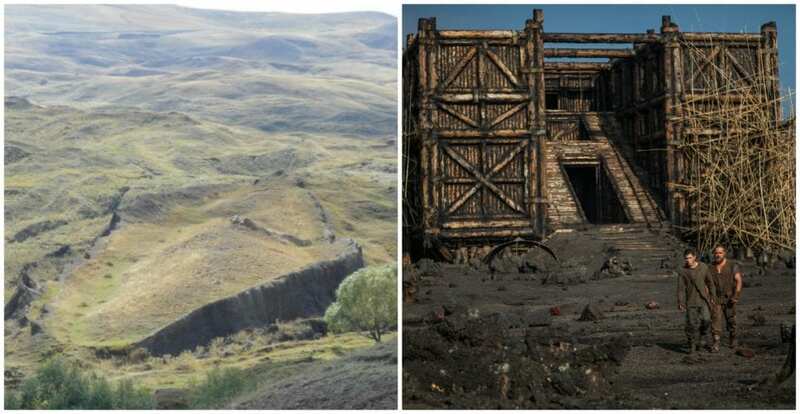 The group has excavated several times and now believe they have uncovered some evidence which may well lead to a discovery of the ark’s location. Not everyone agrees with the work NAMI have been doing, but others believe there is merit in their endeavors. Plowing ahead regardless of opinion, one of their ranks believes the answer to where the ark lies is just around the corner. When someone makes a claim of finding the ark, we have to take it with a pinch of salt until there is proof. Back in 1955, when Fernand Navarra was trying to convince us he had made a major discovery, there were plenty of people not willing to be spoon fed his reports. We know Navarra had to admit his part in the hoax, but if it wasn’t for persistent claims the lumber he found was not 5,000 years old, we might have believed a big fat lie. We now know there are several versions of the great flood story, and because of this, we cannot be sure where exactly the ark beached. There is a group of people not willing to let the dream end and are determined to find the ark. The group is called the Geoscience Research Institute, and they believe in creationism. A symposium was arranged in Turkey, with over 100 researchers speaking and combining their knowledge, with one of their number claiming to have the answer. The argument to support the flood is not one that Nicholas Purcell, a history lecturer at Oxford University, agrees with. He questions the flood itself, asking if the water was covering as much of the planet as claimed, how did the ancient Egyptian and Mesopotamian societies continue? The water no doubt brought currents and torrents so surely the pyramids wouldn’t have survived? Not to be deterred by negative comments, the group continue to search for the ark’s location. Much like the rest of the world, the creationist group cannot agree on the ark’s final location. While many believe it was grounded on the top of Mount Ararat, others think the mountain itself didn’t exist before the flood so it couldn’t have landed there. 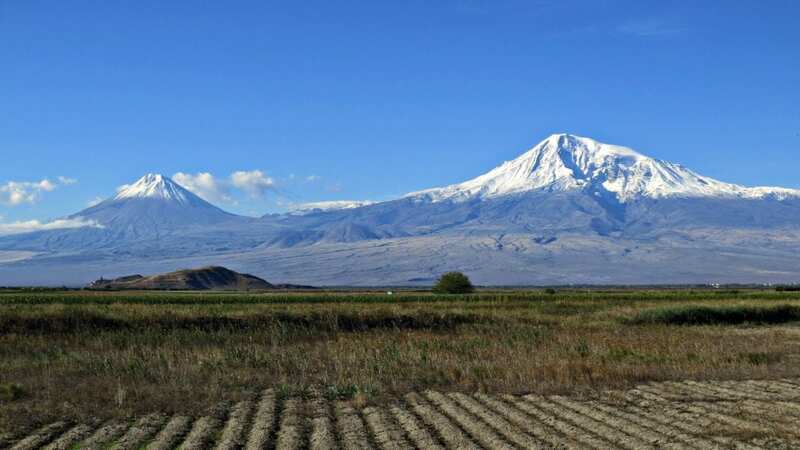 Dr. Andrew Snelling, a young-Earth creationist, and Ph.D. from the University of Sydney feels that Mount Ararat is not the place they need to be looking in. 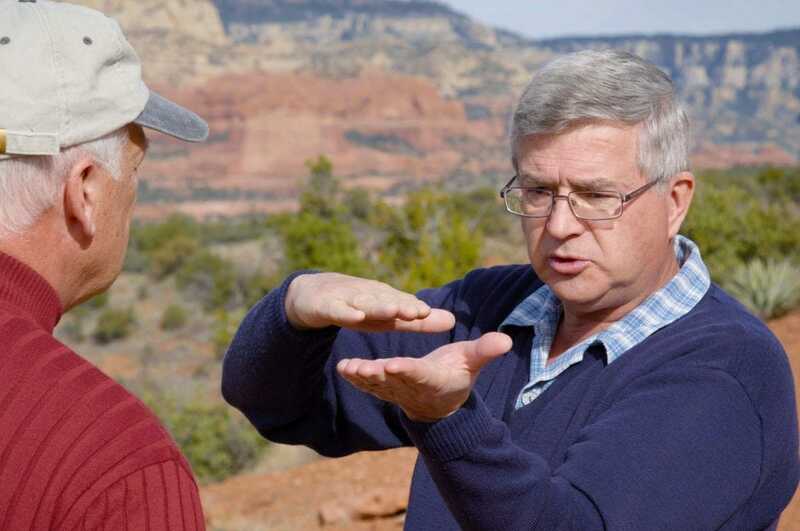 Young-Earth creationists believe the Earth was created by God less than 10,000 years ago. Noah’s ark is told by many faiths, including Baha’i, Christian, Islam, and Jewish religions. Baha’i faith teaches about the unity and equality of all people, they believe in the worth of all world religions. 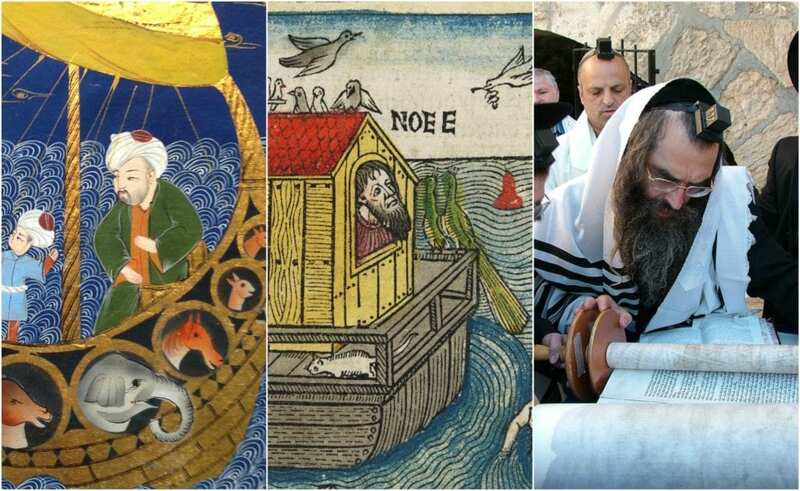 All four of these religions tell similar tales, but there are a few differences. 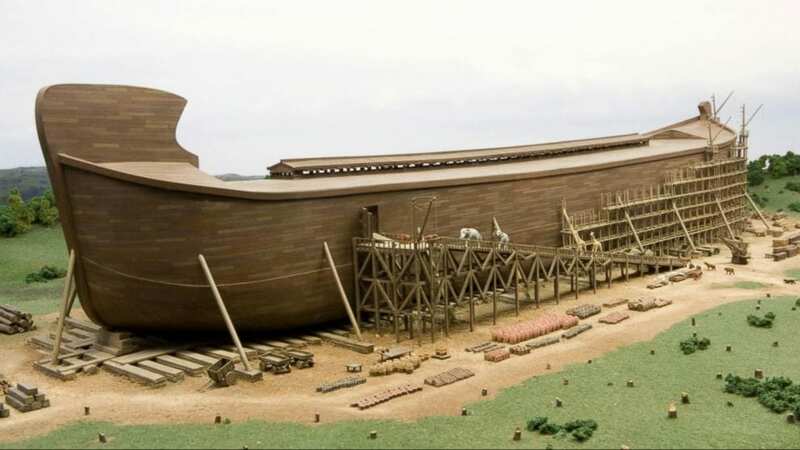 Islam believes the ark was a traditional ship, but Christians believe Noah’s tale is similar to the ritual of baptism. The Baha’i faith considers the ark is purely symbolic and did not physically exist. What does an ark look like? 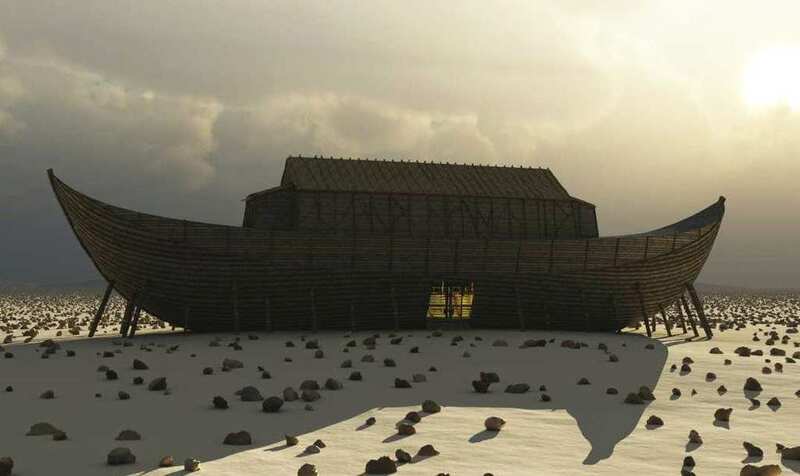 It is hard to imagine what the ark would look like, outside of religious retellings of the story. Many people would assume it is a huge wooden craft, and draw their own conclusions from that. Others can head to the ark in Kentucky to see if that matches their imagination. 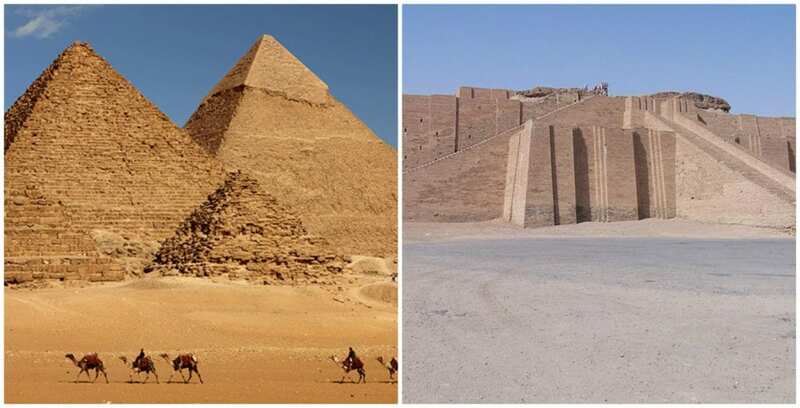 No one really knows, but many scholars have had a go at replicating the image. Johannes Buteo wrote a detailed account of the ark in the 16th century, a description many scholars subscribe to. 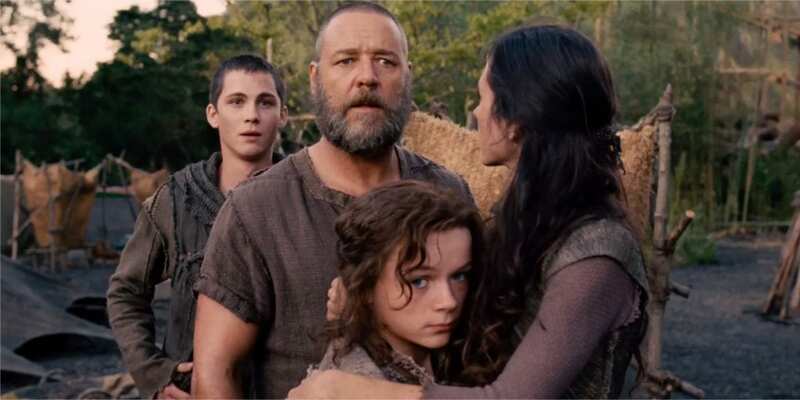 Of course, the tale of Noah and the great flood is such an interesting one there isn’t much surprise that people wanted to see it adapted into a cinema release. 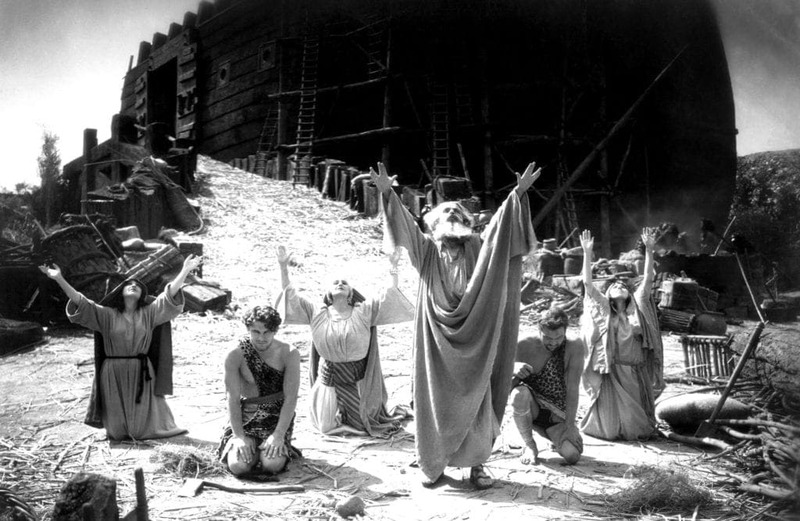 There have been several movies and TV dramas created following the story of the great flood and Noah’s attempts to survive it. 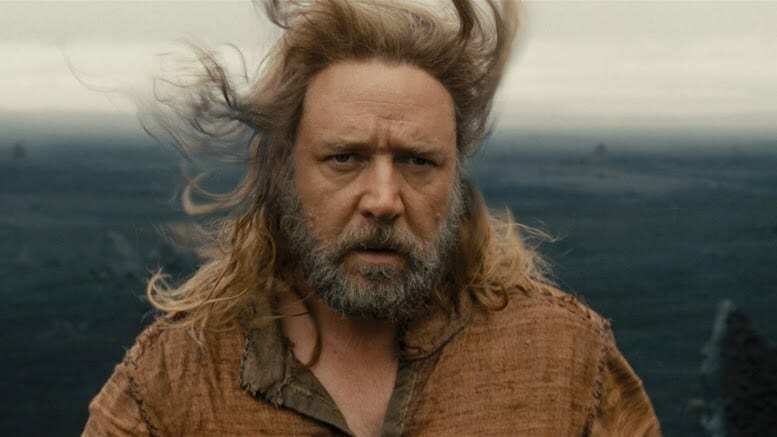 Perhaps most famously, Russell Crowe starred in Darren Aronofsky’s Noah. 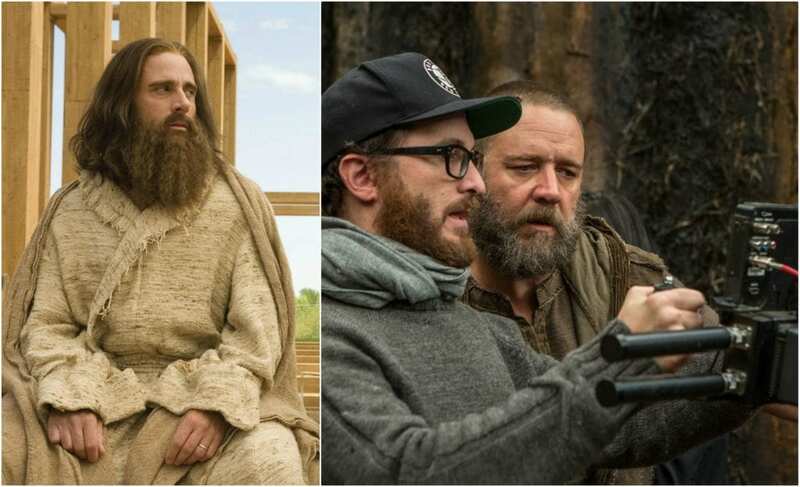 While Noah was a serious adaptation, Steve Carell played a humorous interpretation of the devout man and his efforts to build an ark in Evan Almighty. We established that Mesopotamia had developed several great flood stories, but the oldest and best known is the tale of King Ziusudra. 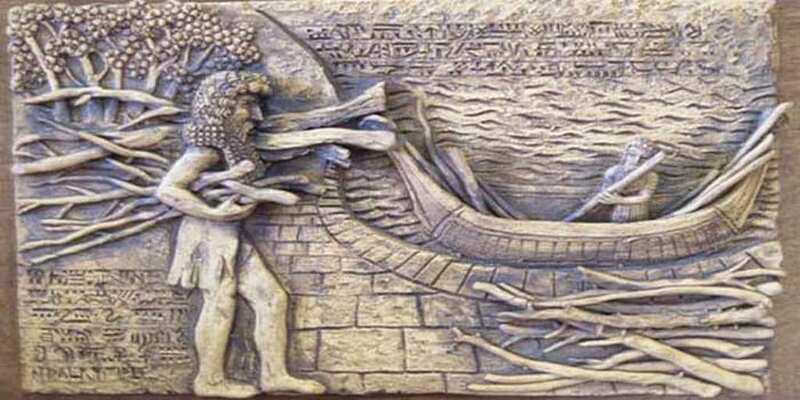 Otherwise known as the Sumerian Flood Story, the tale involves Ziusudra building a boat trying to rescue as many people as possible after the gods decided to destroy the world. Known as the Sumerian Flood Story because it was inscribed in the city of Nippur in 1600 BCE, in the ancient country known as Sumer. Surely the ark didn’t survive the ice age? Many historians have come to the conclusion that the great flood occurred at the same time as the ice age. Surely if the planet was covered in ice, the ark wouldn’t have been able to sail anywhere? There actually is no specific ice age, as it is used as a term to describe a period of time when the Earth’s temperature is reduced and not completely covered in ice. The Earth has actually endured five ice ages, the most recent ice age lasted until about 11,000 years ago. Sometimes it is more important to establish why something happens, rather than how it occurred. The tale of the great flood is no different, and while scientists like to prove everything to the smallest degree, religious followers also seek answers to their questions. The Bible seeks answers on a deeper level and wants to understand what the purpose of the universe is and why it came to be. Religious scholars have been seeking these answers since the dawn of man. … And there’s nothing you can do about it. Dr. Snelling, the young-Earth creationist, has always believed his research is correct and his fellow creationists have been barking up the wrong tree. He says the flood was a catastrophe on a global scale and the land is still reshaping as a result of the flood. Thanks to this opinion he questions whether people should even be looking at Mount Ararat as the site of the ark. 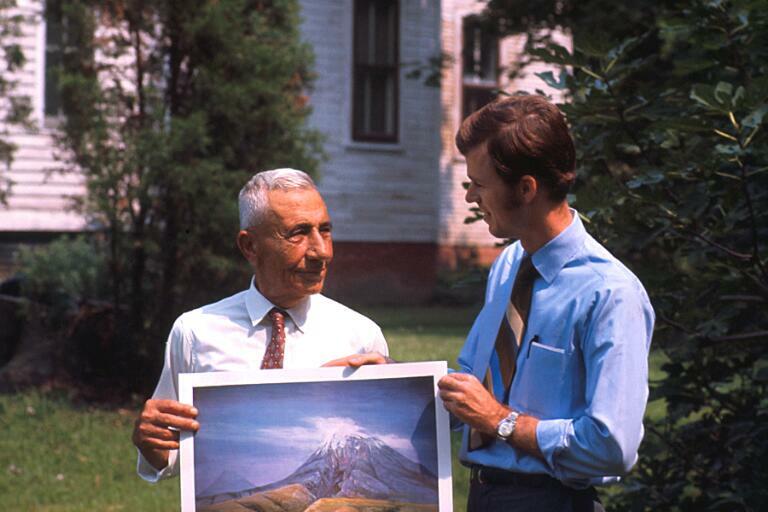 Dr. Snelling believes that because Mount Ararat is a volcano the ash and lava layers date to a time after the great flood. It seems as though he is suggesting that if the ark did indeed perch atop of the mountain, it may well have fallen into the volcano and is lost forever. He believes, as a biblical geologist, that they simply will not find the ark on that mountain, or that Ararat cannot be the place Noah and his family let all of the animals free from. 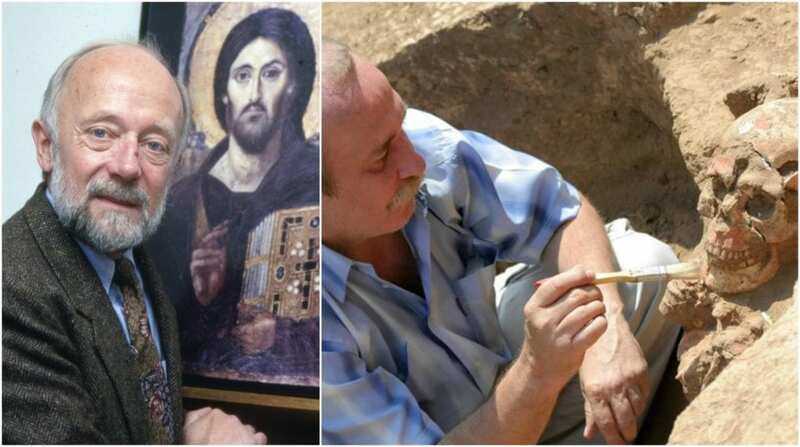 One American researcher truly believes they have found the key to finding the ark and are so close to its discovery on Mount Ararat. 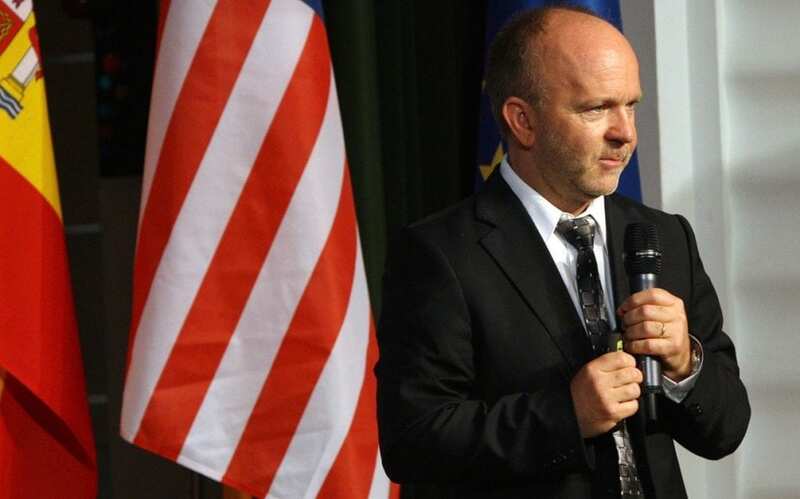 Raul Esperante, a professor from California, is working with the Geoscience Research Institute, (the creationists Dr. Snelling disagrees with), and has no problem tackling the unsolvable. His purpose is to dig near the sites and uncover any possible clues there may be regarding historical catastrophes. Professor Esperante has faced significant backlash for his theories. Have NAMI actually found it? 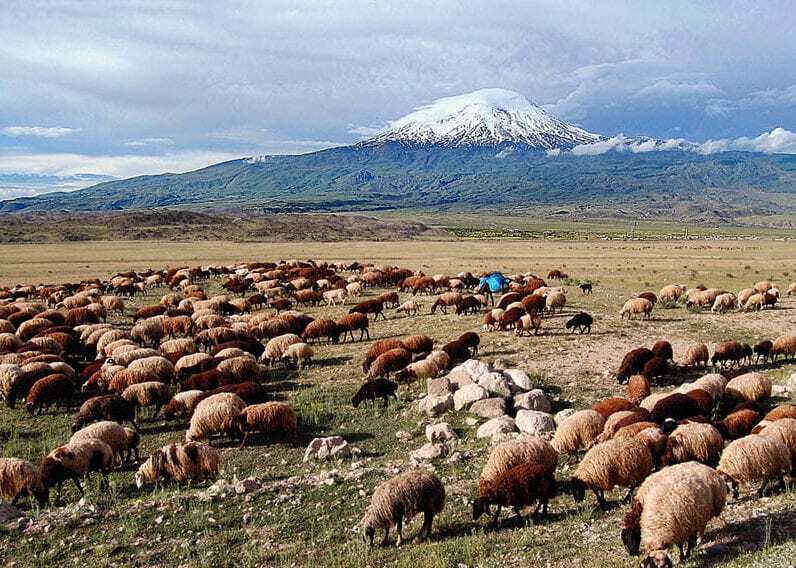 NAMI (Noah’s Ark Ministries International) believe they made a significant breakthrough in 2010, claiming they have discovered the ark on Mount Ararat. 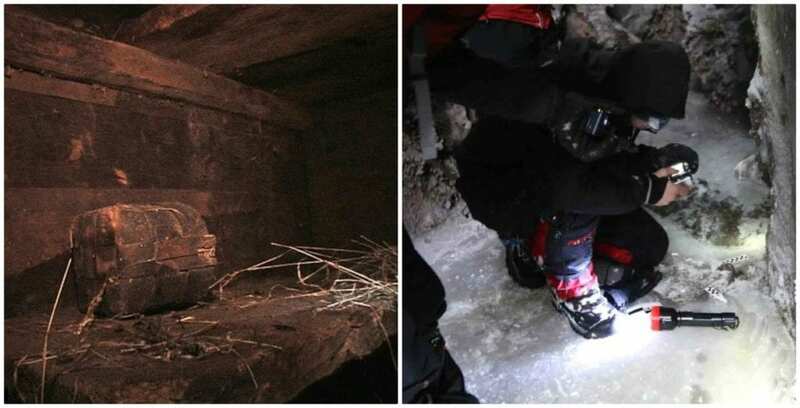 One of the researchers for the team, Man-Fai Yuen, claimed they had not only found a wooden structure but actually entered it. He claimed that there were partitions inside the structure with different spaces mapped out. They had the wood put through carbon dating testing, which aged the wood at 4,800 years old. Noah’s Ark Ministries International (NAMI) are standing by their claims, which are that they cannot say with 100% certainty, but they are 99.9% sure what they have found is Noah’s ark. Their claims have been met with skepticism though. Paul Zimansky, an archaeologist, specializing in the Middle-East, commented that everyone who goes looking for the ark believes they have found it. Clearly, a nod to the several incidences of hoax claims that have been made throughout history. Not to be dissuaded, Esperante is tenacious in his efforts to prove the findings NAMI have made are accurate. He believes that if some serious and meticulous scientific work is carried out in the area, they will confirm the identity of the wooden structure. 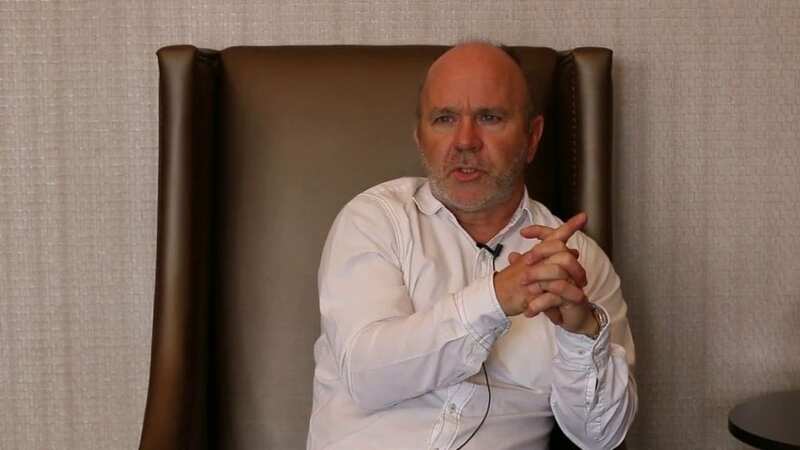 Esperante’s findings are set to be published in a book, but at the moment he believes it is too early to say for sure what it is they will find. Once the ark is confirmed, it will be unveiled to the general public. Esperante has not released his findings but is seeking funding. It is concerning that there is no evidence, yet they are asking for funding. Hopefully, it is just a tactic to dissuade others from digging there for the time being. If the claims are true, then it could be one of the greatest historical discoveries ever made. While the scientific community is moving to try to debunk the claims, NAMI is planning to go ahead and continue their digging and maybe uncover the famous ark that survived the great flood.